» Forum » Market » Buying and selling advice » Has anyone ever bought from TNT? » Has anyone ever bought from TNT? Has anyone ever bought from TNT? On the fence about purchasing from TNT Amusements. I understand their prices are high, but figure the game will be completely shopped and restored before being shipped, and it seems like a good deal. I won't tell you what game I'm interested in as that will just turn this into a "you're paying too much!!!" argument. I'm just wondering if anyone here has done business with them before. What was your experience like? I am listening/watching as well. You're buying his HUO Theater of Magic aren't you? Got all of my games from them. Great experience especially the first game. Never any pressure to buy. Im only 10 minutes away from them so it's a little easier for me. R911 had a snag up that took a month for me to realize. They walked me through it, haven't had a problem since. Going on a year. Batman Forever has been perfect, only take glass off to clean it then it's back on. TWD was a NIB, had a problem with the ball registering on door hits, they fixed the optic for me. SMB also no problems(wish I would of had before pictures on this one, destroyed now it looks great) You can tell where the paint was touched up on playfield, but only if you look for it. Overall great experience with them. Your're buying his HUO Theater of Magic aren't you? Little too rich for my blood! I bought my first game from them about 18 years ago. Like all noobs, I was very green, and I didn't really know what I was getting myself into. The game was a TZ, and I was paying about $300 over the going rate for them at the time. For the most part, it was in good shape, but the main playfield had significant planking, the slot scoop was broken, and it was relatively dirty. Not routed dirty, but not freshly shopped, either. Upon request, they sent me a new scoop weldment, and I ended up completely tearing the upper side down to clean it, basically doing my own shop job. Edit: After looking at old pics, BOTH playfields had planking. It has been touched up and clearcoated now, so it looks great. At the time, though, I was pretty disappointed. Part of it was probably due to my inexperience because overall, the game was pretty good. These pictures show the planking, but they were taken more recently, and are not representative of the cleanliness of the game when I received it. Uh ok...so...everybody look out for planking from TNT games!!! I've bought some parts and sold them some stuff and it's always worked out ok. I don't have any experience from TNT but did buy my first game from a retailer. Sure, I overpaid but I got a game I wanted in good condition, shopped, delivered, and with a warranty. If you okay with the condition of the game, the work done on it, and the price then why not? Uh ok...so... everybody don't expect a better game just because you're paying a retailer for it. 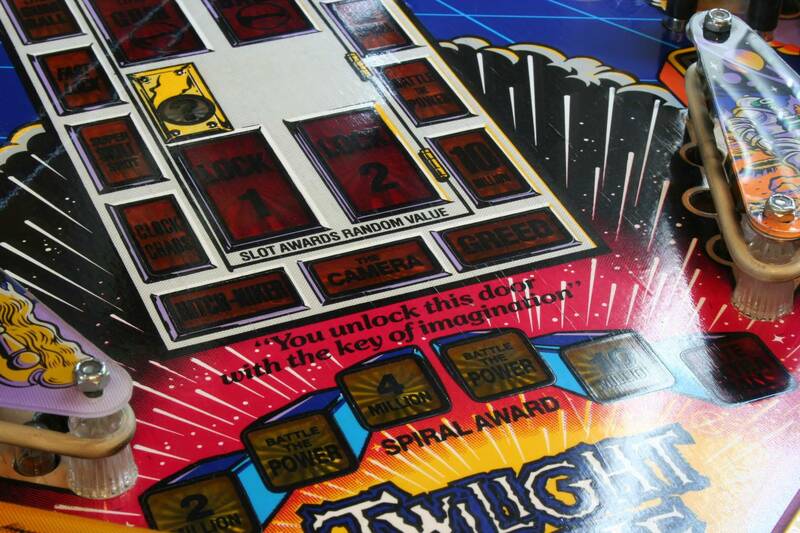 The game was represented as having no playfield damage. That was the point; not that all his games have planking. Todd is a great guy, and an asset to the pinball community. Don't expect a "restoration" with high end clearcoat or airbrushed touchups. Expect touchups done with a brush and covered with Mylar. As long as you know clearly what you are getting, you won't be disappointed. I have never bought a pin from Todd (TNT) directly but I have bought machines with his sticker on them from people who had bought them from TNT years earlier and I have never seen anything super nasty like I have seen from other retailers. As long as your expectations are realistic I think you will be fine buying a machine from TNT. 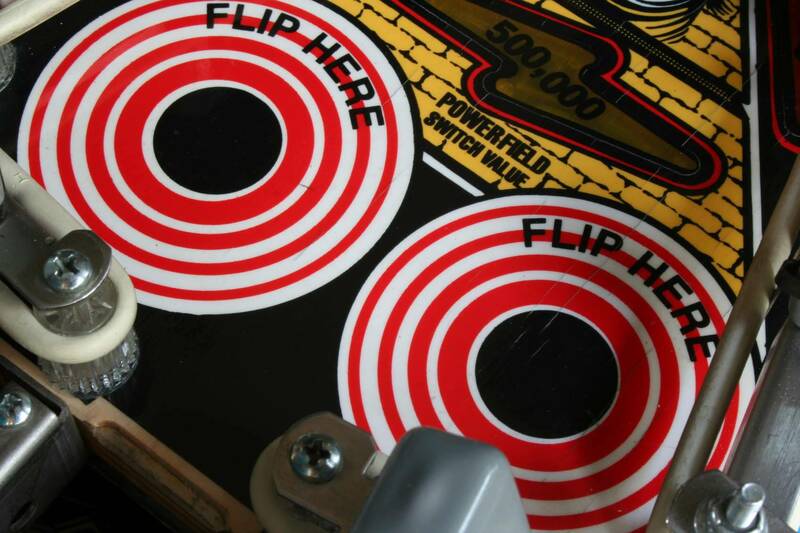 You will not be getting a HEP restoration and you will be paying more then you might buying privately -- but unlike people in the pinball hobby Todd is running a business with high overhead so he has to charge more. Knowing Todd personally I can tell you he is fun to talk to and if you have seen his videos you know he is into it in a big way. I think his love for these machines shows and it seems more like he is doing something he loves than doing it to make a living. Somehow he has pulled off a great balance of doing something he loves every day and making a living at it and I respect that because I know how hard that is to do. Nowhere in the guy's post did he say TNT claimed the game had "no playfield damage." What about Game Room Collectibles claim they have to go out and fix the TNT games because of poor maintenance and breaking up awhile after delivery ? According to them a "sub quality vendor"... Not trying to start anything here but it´s out there on GRC´s own Youtube channel.... Crossfire, and guess TNT has their firm opinions about GRC and quality though I have never heard Todd utter it officially. I love Todd's videos. I always got the impression he was creating reliable, nice players games for normal people, not full blown restorations for picky collectors as everyone else has said. His LED jobs are just plain gaudy sometimes, he needs a dedicated LED artist like he has touch up artists! The professional studio he uses for green screen effects is top notch though. Of course they are going to hate on the competition that out sells them 20 to 1 however both to very different types of work .grc supposed to do full high end restores weather they do is up to your description of one . Tnt makes a nice pin to be enjoyed . What about Game Room Collectibles claim they have to go out and fix the TNT games because of poor maintenance and breaking up awhile after delivery ? Have you ever had a pinball machine that you did not have to fix?? Even when I completely re-manufacter a game, something will break in shipping. Even NIB games will require some sort of adjustments or maintenance as soon as you unbox them, let alone a 40 year old game with 100,000 plays on it and 200 different jokers wrenching on it over the years. I've purchased a few things from Todd over the years and never had any issues. Things were what I expected and he was always pleasant to deal with. TNT does great work for this hobby. Anyone bitching about a repair they had to make on one of TNT's machines is lame. All pins break down... all the time. Love their videos as well. All pins break down... all the time. I agree with blackbeard.... & all the positive things mentioned in other posts. On a whim... I emailed Todd & asked for a signed photo to hang in the game room. I had it 3 days later with no charge & I've never bought a thing from him. That shows his character right there. WHO IS MAKING NOISE DURING MY VIDEO!?!?!?!?!? I have operation thunder I purchased from someone who purchased from TNT. I never had a problem with it. Played the hell out of it and never had the slightest issue. Met Todd a few times at shows and super nice. I bought NIB from TNT, and everything was A-OK. I purchase my second pin from TNT which was a Gotlieb Genesis. It was in good condition, nicely cleaned with a few circuit board improvements. The shipping was fast and machine was packed very securely. I have since shopped it completely but I have no regrets on my purchase. On the fence about purchasing from TNT Amusements. Are you in IL? TNT is in PA. There are places in IL...Hemisphere's Amusements has a good selection and they do a pretty complete shop out. Yeah, I know about Hemisphere. They do have a great selection, but just not the game(s) I'm looking for. Purchased my NIB LOTR from Todd back in 2005 I believe. since then to check out some machines. I've bought from both GRC & Hemisphere's in the past. (Kurt from Hemisphere's shops his games really well BTW - and my purchase from GRC was restored very nicely too by Ray & Mike, no complaints) Both really good experiences. While I haven't bought from TNT (yet), based on the feedback from satisfied Pinside members and his videos, I think I'd have no problems ordering from Todd either.